To reserve seats, contact Scott Davis at mailto:sdavis@stjathenaeum.org or 802-745-1393. To sign up online, go to https://secure.qgiv.com/for/sjai and click on EVENTS. Take the 2019 Athenaeum Survey! In order for us to provide the best possible service to our patrons, we ask you to please complete this survey and return it to us. Thank you in advance for helping us continue to provide outstanding service to the local, national and international communities. Please Invest in the Athenaeum! Go to the Giving Page HERE. We usually receive a good percentage of our Annual Fund gifts the last week of December, and we need you to pitch in and help us reach our goal this year. 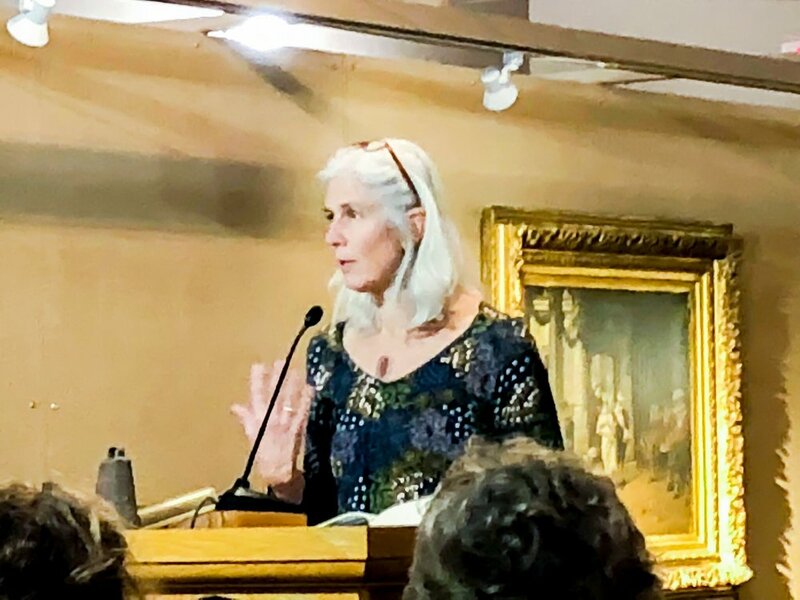 Your giving allows us to add to our library collection, maintain our unique art gallery, and invite presenters of educational and entertaining programs year round, free to the public. The Annual Fund is critical to our continued success; we were able to expand our hours this year due to last year's successful Annual Fund campaign and our wonderful volunteers. Please consider a year-end gift to the Athenaeum in any amount. Go to the Giving Page HERE. We truly appreciate your investment in the future of the St. Johnsbury Athenaeum! Thank you to all our 2018 Volunteers! Marge Achilles, Lisa Adler, Patricia Anderson, Vic and Cecile Boivin, Tim Bryner, Bud Burke, Alice Burnham, Bonnie Dasher-Andersen, Candlin Dobbs, Elizabeth Evans, Robert Faling, Jeff Gold, Patricia Gould, Eli Haskins, Lucy Haworth, Colleen Honea, Linda Hunkins, Patton Hyman, Elinor Levy, Reeve Lindbergh, Julianne Mackey, Cindy McCulloch, Christine McIntyre, Robert Miille, Louise Rader, Mary Liz Riddle, Ewa Seiler, Joan Smith, Darlena Smith, Pat Swartz, Carol Toles, Irene Treholme, Dotti Jackson-Turek, Debbie Wallens-Matte, Jim and Betsy Zorn. From all of us at the Athenaeum, have a healthy and happy holiday season! 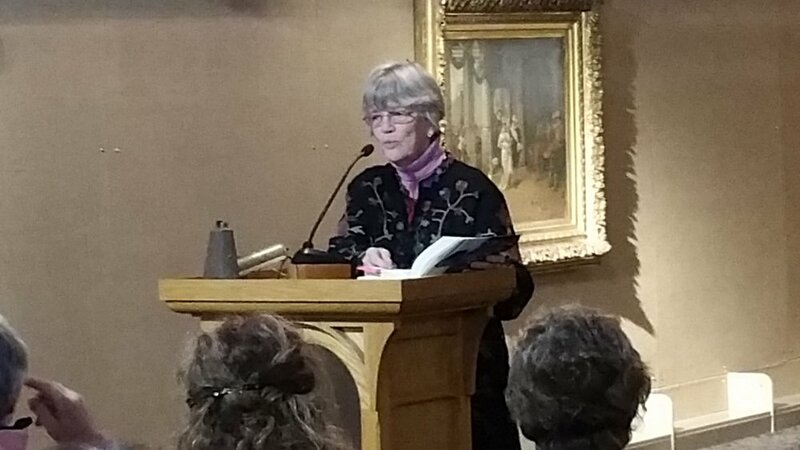 Please give to the Athenaeum! The Athenaeum Annual Fund runs until December 31 and supports every part of our mission: providing a free library for the town with current materials; preserve the art gallery; and provide free programs for adults and children. Only 20 percent of our budget comes from the town—we receive no state or federal funds. The rest comes from our wonderful supporters. Please join them in supporting our National Landmark! Give HERE. Happy 147th Birthday, Athenaeum! And it's Giving Tuesday! Tuesday, November 27 is Giving Tuesday—and also the Athenaeum’s 147th Birthday! What a great day to show your support of the Athenaeum! Give HERE. 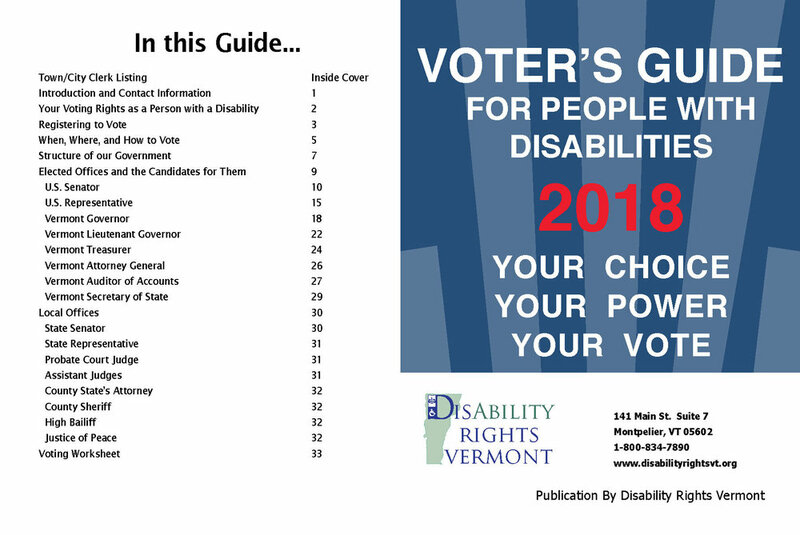 For the complete Voter’s Guide for People with Disabilities, click HERE. 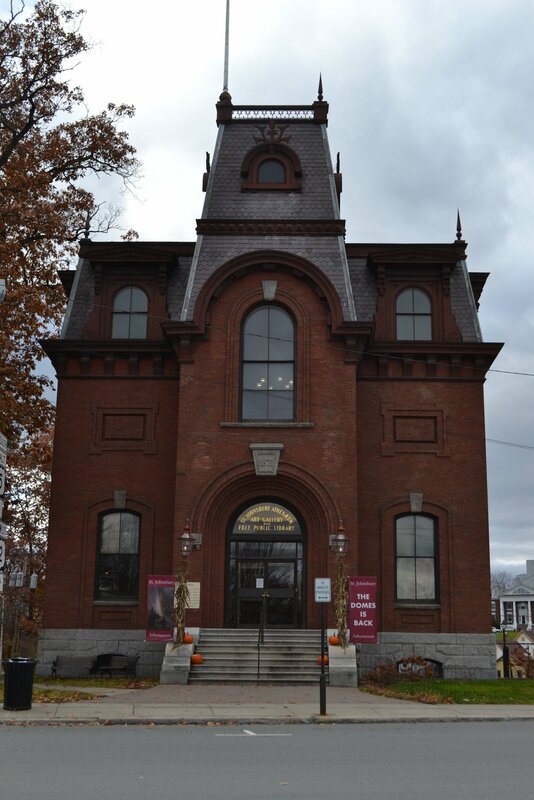 The Literacy Outreach Coordinator is a national service position with LEAP, the Lyndonville Economic AmeriCorps Program, serving at the St. Johnsbury Athenaeum under the supervision of the Youth Services Librarian. Term of service is September 1, 2018 - May 31, 2019, with the possibility of continued service the next term. Members must complete 450 hours during this time period. Read more about the position HERE. Calling all Teens for the Teen Advisory Board! Email Becky for more information HERE. Donate a pie and help with our most delectable fundraiser. Our goal is one hundred pies or more! 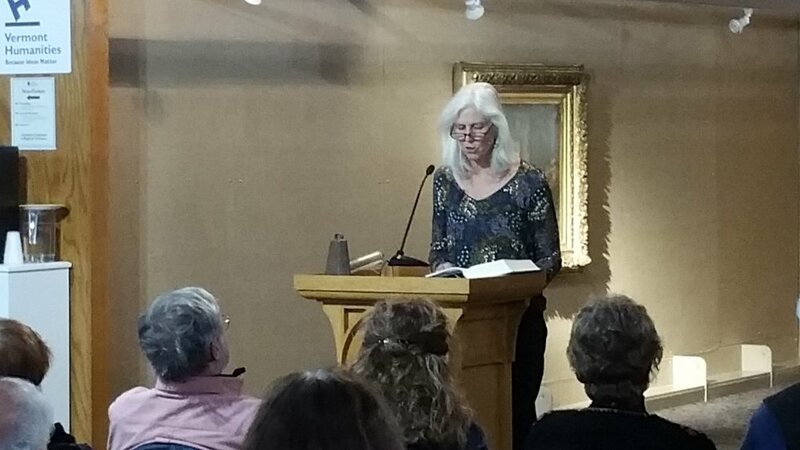 All monies raised go to the St. Johnsbury Athenaeum for youth and adult programming and reading materials. Sign up at the Athenaeum, email awestfisher@stjathenaeum.org, friends@stjathenaeum.org or call 802-748-8291. Thanks for your help! On Saturday, August 11, Lee Stetson performs as John Muir in front of "The Domes of the Yosemite." Admission if free but seating is limited. Read more and sign up HERE. The Domes Returns on Saturday, July 14! 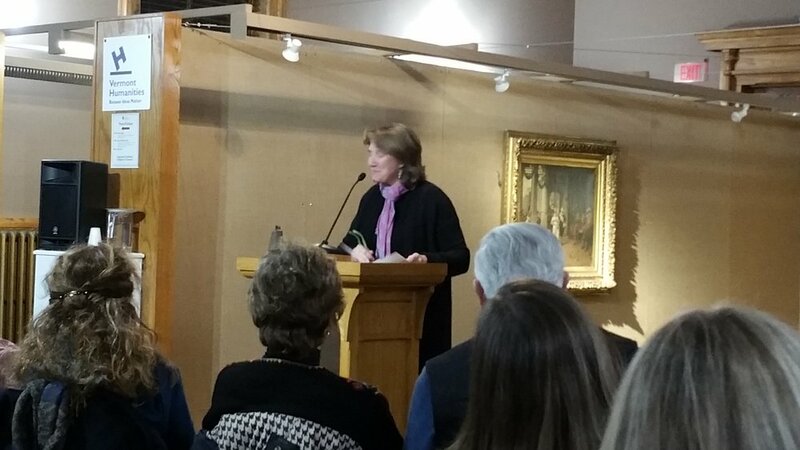 Albert Bierstadt’s The Domes of the Yosemite is back home at the St. Johnsbury Athenaeum. In October 2017, ArtCare Conservation carefully removed The Domes from its massive frame, rolled it onto a large cardboard tube, and drove it to Miami, Florida. Once there, they repaired a tear in the canvas, adhered the canvas to a liner backing to protect it from future stress, stripped off the old synthetic varnish, and applied a natural varnish which brought out the vibrant colors not seen properly in decades. Then beginning in January 2018, The Charles Hosmer Morse Museum in Winter Park, FL proudly displayed The Domes, the first time it had been seen outside The Athenaeum since its Art Gallery opened in 1873. The Domes of the Yosemite will be at the Morse Museum in Winter Park, FL until July 8, 2008. The Domes of the Yosemite is now on display at the Charles Hosmer Morse Museum in Winter Park, FL until July 8. ArtCare performed an exquisite restoration, and we can't wait for The Domes to return in mid-July so we can celebrate its homecoming! Great article from Feb. 23 Orlando Sentinel with video HERE. Nice article about The Domes at the Morse Museum HERE. Watch a time lapse video about packing up The Domes HERE. Watch the 5-minute video about packing up The Domes for its Miami move HERE. See an excellent article about The Domes HERE. Why is the painting gone? The canvas is weak at the top edge and needs to be lined with a strong lightweight fabric to reinforce it. Other work includes removing old vanish, repairing a damaged area near the bottom edge, and minor inpainting and consolidation. How was the painting removed from the Gallery? On October 11 the painting was rolled, painted side out, around a rigid large diameter tube, and trucked down to Miami. See an example at the Boston Museum of Fine Arts. Where did it go, who is doing the work, and how long will it take? When will the painting return? After conservation is completed, the painting will be exhibited at the Morse Museum in Winter Park, Florida through early July 2018. http://www.morsemuseum.org/ Chicago industrialist and Winter Park, Florida philanthropist Charles Hosmer Morse was born in East St. Johnsbury, VT in 1833, and joined the E. and T. Fairbanks Company in 1850. He ultimately became the controlling partner in Fairbanks, Morse & Co. headquartered in Chicago. In 1942 The Morse Museum was founded by his grand-daughter, Jeannette Genius McKean (1909–89), and named for her grandfather. The Domes of the Yosemite remains the sole property of the St. Johnsbury Athenaeum and will be reinstalled at the Athenaeum in July 2018. PoemTown is Looking for Original Poems! Click HERE for submission guidelines..
Watch a Live Feed of The Domes Restoration! Go HERE to watch live video of The Domes restoration from 9am-3pm daily. You can also see a time lapse video of the preparation for the move HERE. Having trouble logging into your Listen Up Vermont! account, or KOHA? Don't know your library barcode? Contact the librarians at the Athenaeum at 802-748-8291. You will also need your library barcode and password to log in to Listen Up Vermont! to access our collection of thousands of downloadable ebooks and audiobooks. If you find you are still not able to log in to Listen Up Vermont! using your updated login information, you may need to uninstall the Overdrive app from your device and then reinstall it.